Win A View From the Shard! Every additional case you buy = another entry into the prize draw! 1 lucky person will be randomly selected to Win A View From The Shard! + Smartwater® Goodybags for 10 runners-up! If you are a new customer, please enquire here to speak to a representative about ordering from Zepbrook. Ascend the Shard to a unique vantage point almost twice as high as any other in London. 800ft above the city you can take in views that spread out over 40 miles across the capital and beyond. The Shard is a vertical city and is home to a 5* hotel, world-class restaurants, impressive offices and apartments, and the visitor attraction – The View from The Shard – at the top. At the highest viewing point of level 72, you will be able to see many of London’s famous landmarks with a wonderful, unobstructed 360-degree view. Disclaimer: All product and company names are Trademarks (™) or Registered Trademarks (®) of their respective holders. 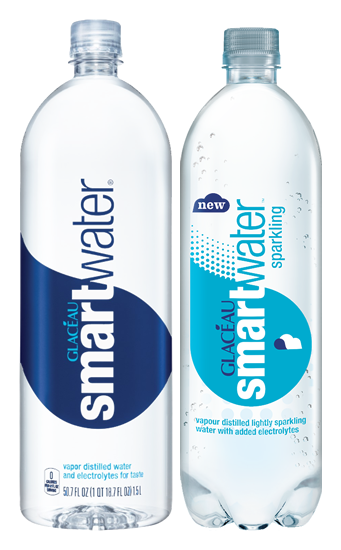 Use of them does not imply any affiliation with or endorsement with Zepbrook Ltd.
'GLACÉAU SMARTWATER™' is a Trademark, and 'Smartwater®' is a Registered Trademark of Energy Brands Inc (a subsidiary of The Coca-Cola Company). *Competition Terms & Conditions: This competition is being run by Zepbrook Ltd and entry is restricted to UK residents aged 18 or over. Entry closes at 17:00 on 28th February 2017. The employees and family members of the employees of Zepbrook Ltd or any of its Suppliers, including but not limited to The Coca-Cola Company and Coca‑Cola Enterprises Ltd, are not eligible to take part. Zepbrook Ltd reserve the right to change or cancel the competition and its prizes without notice or reason. Prizes are organised by a third-party ^experience organiser and will be gifted by Zepbrook Ltd in the form of a voucher, on an 'as is' basis. Prize winners will be notified via email, using the email address held on the online account which was used to place the qualifying order(s). Vouchers will be delivered via recorded delivery up to 28 days after we receive a full name and postal address from the winner (a link to the third-party website will also be provided via email, where full details of the experience and the ^experience organiser can be found). All enquiries concerning the vouchers or the experience itself, must be made directly with the ^experience organiser. The ^experience organiser is 'Virgin Experience Days™', who are an independent third-party. Zepbrook Ltd does not have any affiliation with the ^experience organiser.